Torens Johnson leaps onto tilted platform while performing the Leni Wylliams role in Otis Redding's "Sittin' on the Dock of the Bay"
The audience gave standing ovations all three nights of the Wylliams/Henry Contemporary Dance Company Fall concert, in White Recital Hall, Sept. 13th, 14th, and 15th. The near-capacity audiences were treated to a company world premiere performance of "Sweet Otis Suite," an original work dedicated to the two artists who inspired it, the dancer Leni Wylliams and the musician Otis Redding. Both artists were killed tragically before their times, making the story behind the piece, as intriguing as the dancers' performance of it. "We were very pleased with the reception of the piece," said Artistic Director, and former Dance Department Director, Mary Pat Henry, who also choreographed the piece. "We were thrilled that the audience was moved by the performance, as we were to present it." 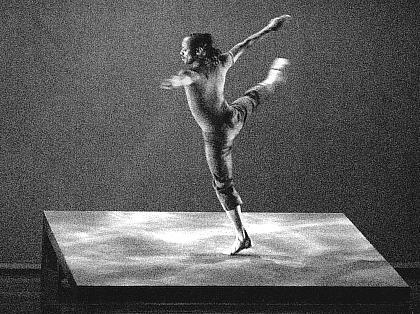 Henry co-founded the Wylliams/Henry Contemporary Dance Company in 1991 in Kansas City, along with the late Leni Wylliams. The company now holds the position of Artist in Residence at the UMKC Conservatory of Music and Dance, and continues to present concerts in Kansas City and around the Midwest region. The timing of the premiere was poetic, yet fitting, since this is the 40th anniversary of Otis Redding’s' untimely death (Dec. 10th, 1967) in a plane crash at age 26, just before the release of his best-known hit song, "Sittin' on the Dock of the Bay." It is also the 11th anniversary of the tragic death of Leni Wylliams, former UMKC faculty member and co-founder of the dance company, who was brutally murdered in his home on Sept. 13th, 1996. "In our conversations, Leni and I made plans for a number of works," said Henry. "And most of them have been finished and performed... except for this one... this was the last work inspired by Leni Wylliams that still need to be presented... and now seemed the right time." One of the reasons for presenting the work now was that Henry felt that the composition of the Dance Company was right to present the work. 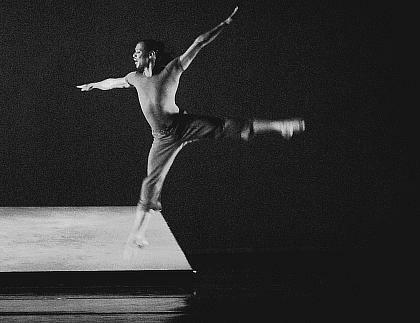 The solo piece was to be performed on a raked platform, tilted at a 4-5 degree angle, representing the "dock of the bay," which made it a particularly challenging piece to perform. "When Rodni Williams returned to the company, and Torens Johnson joined us, we knew we had the right composition," said Henry. "Up until now, it did not seem like we had the right mix of talent to present this kind of work ... But we do now." Many of the dancers in the company, (Rodni Williams, Jennifer Medina, Torens Johnson, DeeAnna Hiett), have worked or trained with Leni Williams directly. The other dancers in the company, in turn, have worked directly with those veteran dancers. 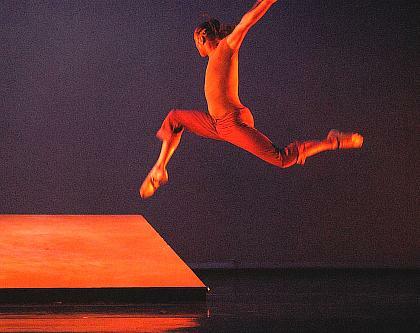 "As a result of the intimate connection with Leni's style of dance, when I describe what vision of Leni's work I am trying to reproduce, they understand," remarked Henry. "So, Leni's influence on the dancers and the company as a whole is still very strong." The Wylliams/Henry Contemporary Dance Company was founded in 1991 by Leni Wylliams and Mary Pat Henry as a repertory company that would serve as a "living archive of the best of American contemporary dance," ranging from established contemporized classics to exciting, provocative, avant garde works by new artists. 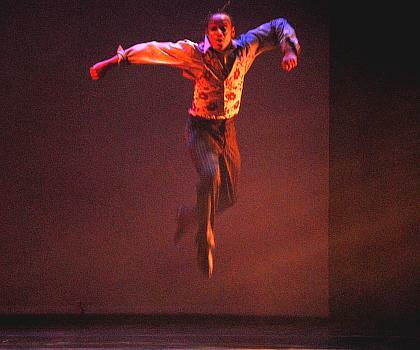 It has continued that tradition by performing works of well-established choreographers (such as KC native, Milton Myers, and Tony Award-winning, Bill T. Jones), and adding innovative works choreographed by members of the company, including those of DeeAnna Hiett, Paula Weber (the Assistant Artistic Director), and others, as well as the works of founders, Leni Wylliams and Mary Pat Henry. Performing this piece at this time was particularly special to Henry, for it presents the extraordinary legacy of two great artists together at a significant time for remembering both of them. Torens Johnson above the raked dock in "Sweet Otis Suite's" "Sitting On The Dock of the Bay" section. "Torens Johnson had the theatricality and mature artistry... to bring his own personality to the role, to make it real theatrically... giving the solo the persona and atmosphere that Leni would have brought to the role," said Henry. "At the same time, we are presenting the music of Otis Redding to a whole new younger audience ... helping to rekindle an interest in his work... so that others can appreciate his accomplishments... and to realize how truly gifted Otis Redding was ... and how much influence he had on popular music." Henry still feels that Leni Wylliams continues to be very much a part of the company, despite his tragic departure. "Within the company there is a direct legacy linage to Leni;" Henry explained. "And that kind of passion and emphasis on artistry over technique, that Leni inspired, are still the continuing principles of the company... in that regard, Leni is still very much with us."